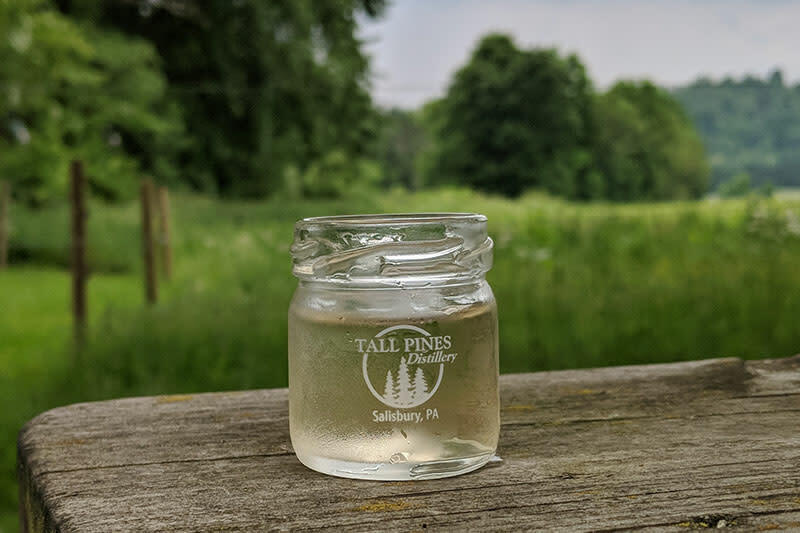 Tall Pines Distillery is a small family owned and operated moonshine distillery in southern Somerset county Pennsylvania. Located at the edge of the Laurel Highlands and only a few miles from the highest peak in Pa. the property has several species of Pine Trees, some over 70 feet tall. 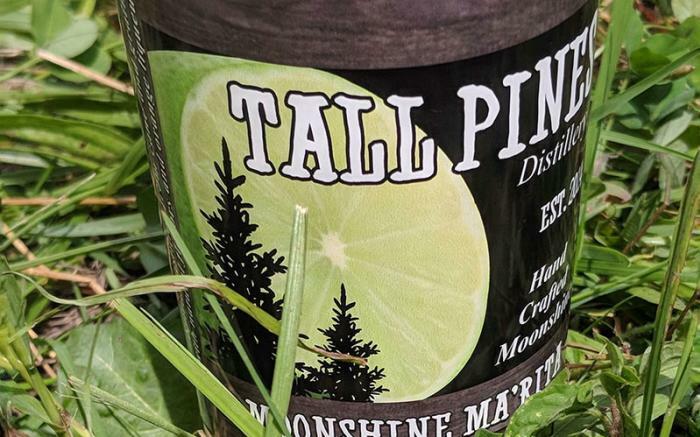 The distillery, tasting room and gift shop is located within 200 miles of the major metropolitan areas Pittsburgh, Baltimore and Washington D.C.
Moonshine has a rich history in these mountains. 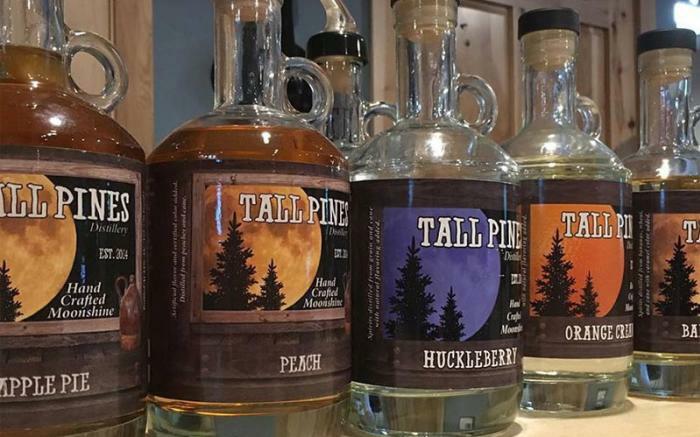 Many Tall Pines costumers tell stories of grandpa’s uncles, and kin who dabbled in, or even made a living by bootlegging the then illegal drink. 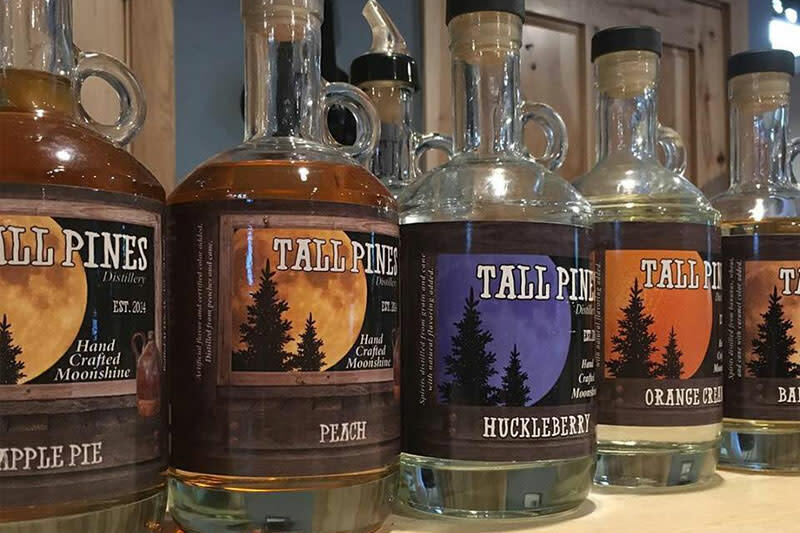 Tall Pines however, is the first LEGAL moonshine distillery in Somerset County since prohibition. 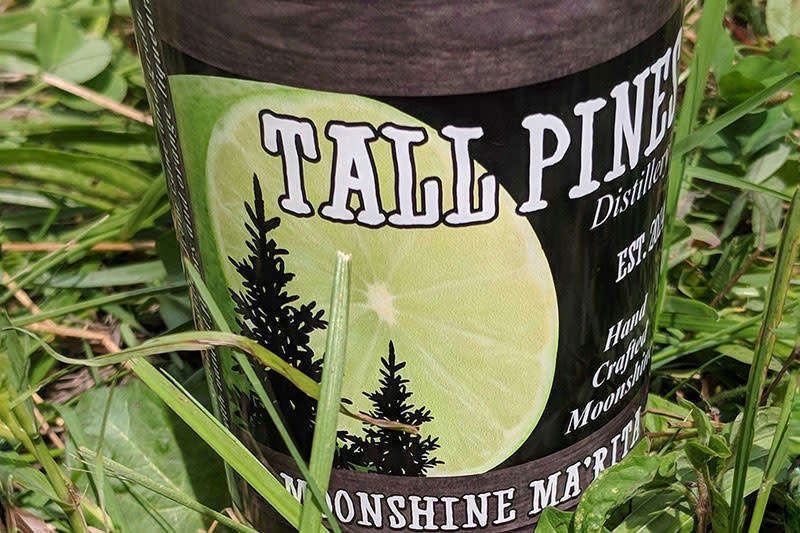 We are proud to make moonshine from traditional recipes, the old fashion way. We use as many local ingredients, and natural flavors as possible. Local peaches, Madagascar Vanilla Beans, whole cinnamon sticks and coffee beans straight from Columbia are just some of those fine ingredients. 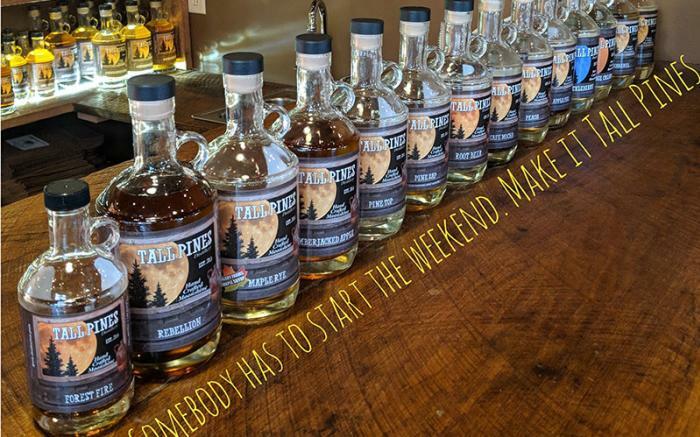 With fifteen flavors from Huckleberry and Banana Foster to our traditional whiskeys, we are positive we have something for everyone! 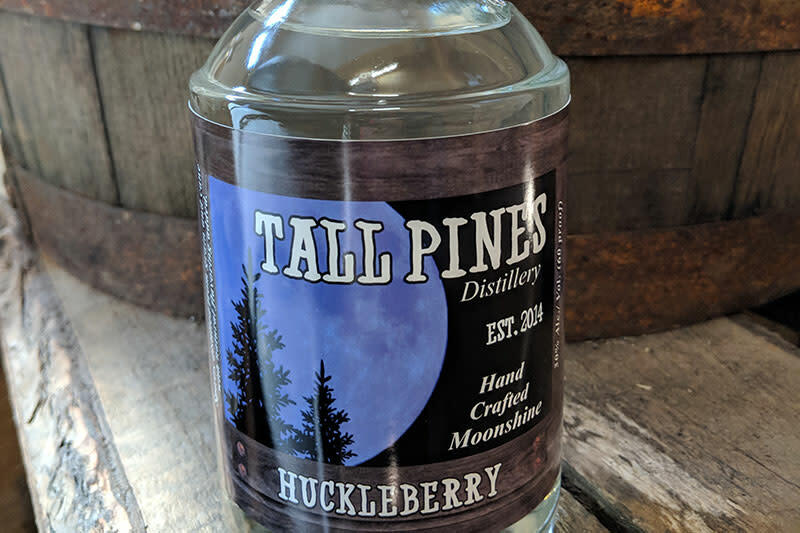 Our moonshine cocktails like Huckleberry Lemonade, and Peach Tea are not only refreshing at our many festivals we attend each year but are also available at our new party pavilion. 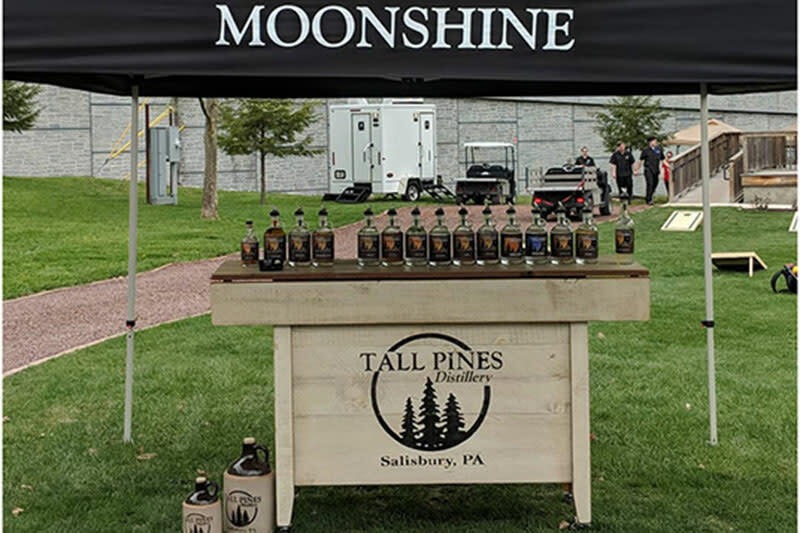 ( See schedule on our Instagram or Face book pages) Food trucks, live entertainment and Pennsylvania made beer and wine by the glass are also available. We can’t leave out our twist on the Moscow Mule. 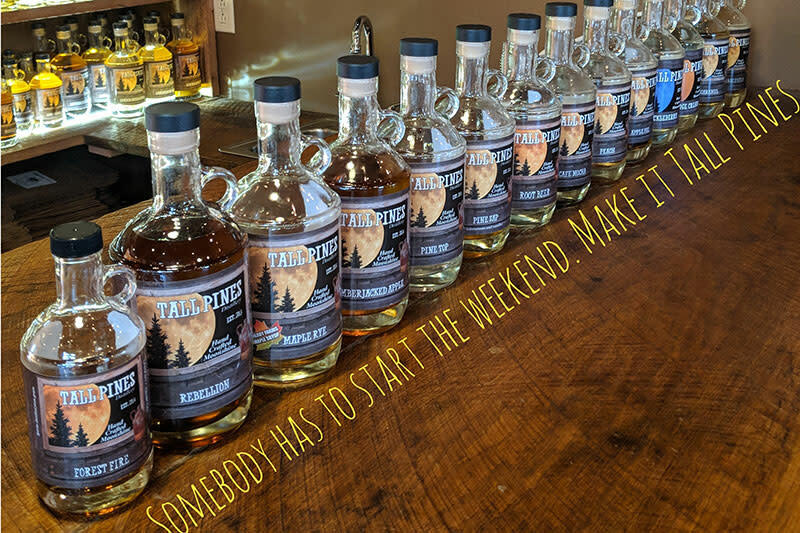 We have three mules available: the Rebel Mule (Rebellion moonshine) the Angry Mule (140 proof Forest Fire moonshine) and the Jack Mule (Lumber-jacked Apple moonshine. 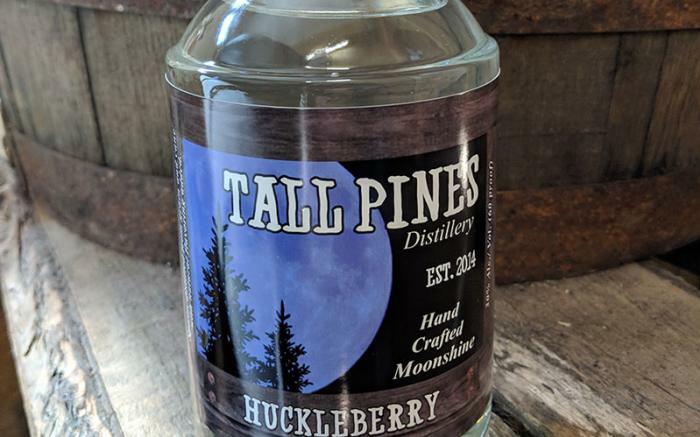 Tall Pines is also home to the Bootlegger, as seen on the History channel show “ROAD HAUKS”. The Bootlegger is a 2010 Camaro with and LS3 engine. Custom all wheel drive, smoke screen, copper patina finish, Pitt Bull Tires, Vision X rally lights and much more. 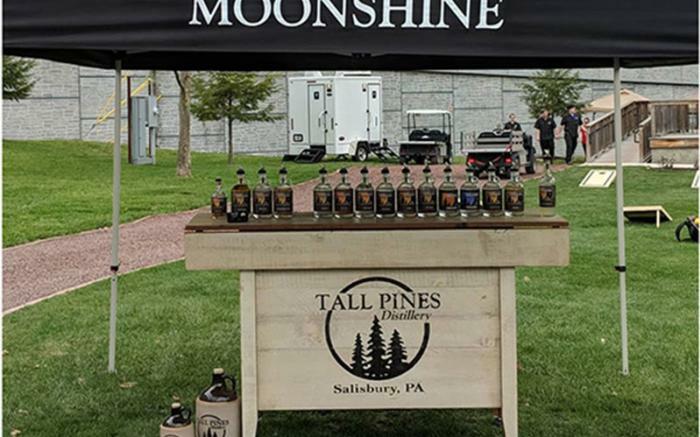 The Bootlegger makes special appearances and is available for promotional events. See pictures at Bootleggerpromotions.com.